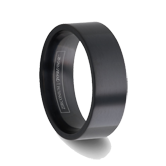 Leading online retailer of durable men’s tungsten bands is lowering prices of popular and long-lasting men’s tungsten wedding bands. Already boasting the best quality and durable men's wedding bands, Tungsten World is lowering prices of many unique Tungsten ForeverTM tungsten wedding band styles this wedding season. In addition to the new low prices, the online retailer has also introduced a new category for Groomsmen Gifts featuring tungsten pendants, dogtags, cufflinks, watches and more. 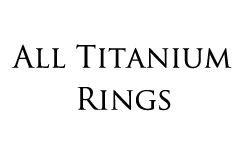 Noticing a recent surge in the popularity of daily deals and monthly specials offered by retailers around the Internet, TungstenWorld.com lauched a new section to its website to give its customers the chance to save even more when shopping on the tungsten carbide retailer's website: https://www.tungstenworld.com/Tungsten-World-Specials-Sale/. The new "Specials" category will feature frequently updated tungsten rings and tungsten wedding bands styles to be offered at new low prices. 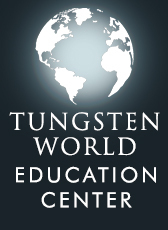 Current offerings include styles with savings of up to $60 off Tungsten World’s already competitively low regular prices in a variety of widths and sizes for both men and women. Customers are encouraged to check back often as new styles will be added on a regular basis and styles already marked down could receive additional discount pricing. The new low prices are taking effect just in time for the peak of this year's wedding season, and all the new low prices tungsten rings remain covered under Tungsten World Wedding Bands extensive 45-day Perfect Fit exchange policy and Lifetime Replacement warranties. "Unlike other online retailers that sacrifice quality and service for low prices, we maintain our quality by working directly with our manufacturers. We not sacrificing service with our new lower prices, either. Customers can still speak with any of our qualified jewelry associates by phone or through email making the customer’s experience easy, safe and secure, and they’ll be afforded the best prices online" says Brett T. Tungsten World Operations Manager. Also being added to TungstneWorld.com with consideration for those being married this wedding season, Tungsten World introduced its new Groomsmen Gifts category eariler this month. With many brides and grooms already using Tungsten World for their wedding bands, the tungsten carbide retailer is providing a one-stop shop for all things wedding with best man gifts and bridal party gifts. Brides and grooms shopping this new category will have their choice of tungsten cufflinks, bracelets, tungsten watches and even customizable pendants perfect for the groomsmen and bridesmaids in their bridal party. Further enticing customers to let Tungsten World handle all their wedding jewelry and gift needs, all tungsten jewelry and accessories prices have been reduced 25%. "Giving a part of your wedding to your groomsmen or bridesmaids is something that should be intimate," says Tungsten World's Operation Manager. 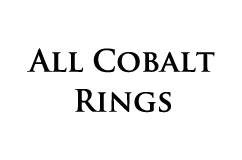 "So we offer several stylish, and modern styles of tungsten carbide accessories that match or compliment the bride and grooms durable wedding rings, so everyone can really celebrate the occasion." 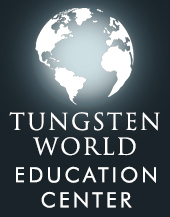 To see TungstenWorld.com’s full line of gifts for groomsmen and bridal parties, click here: https://www.tungstenworld.com/Groomsmen-Gifts/. 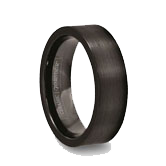 Exclusive to TungstenWorld.com, Tungsten ForeverTM tungsten rings and tungsten wedding bands, for men or women, are made from the highest quality tungsten carbide. 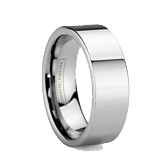 Hand-finished and coming in a wide array of widths, styles and sizes, Tungsten ForeverTM tungsten rings set the standard for durable men's wedding bands guaranteed to last a lifetime. 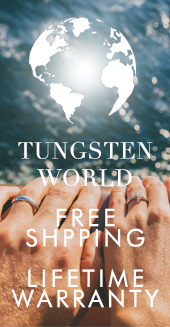 Coupled with Tungsten World’s industry-best Lifetime Replacement warranty and friendly customer service, customers purchasing Tungsten ForeverTM tungsten rings and tungsten jewelry can be confident in knowing they've received the very best the internet has to offer.